What Social Work Jobs are in Palliative Care? Social work jobs in palliative care offer specialized and meaningful career opportunities across health care and social work platforms. Qualified personnel with state and national certifications can find a variety of jobs helping patients, caregivers and families as they negotiate serious illness or end-of-life situations. These services are applicable to people of any age with chronic diseases, individuals who have life-altering disabilities, or elderly patients with end-of-life needs. Job diversity also spans a wide spectrum of settings including including homes, hospitals, residential settings, hospices and outpatient facilities. 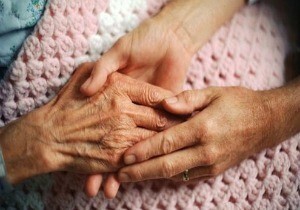 Palliative care refers to the prevention or relief of pain brought on by serious illness whether terminal or chronic. This pain can be physical, spiritual or psychosocial in nature, according to the Center for Workforce Studies. The goal of palliative care is to alleviate symptoms associated with this pain through medical interventions, medications, therapy or counseling. Accomplishing this type of care relies on an interdisciplinary team that includes physicians, nurses, medical assistants, counselors, spiritual advisers and social workers. How Do Social Workers Assist with Palliative Care? Social workers with the appropriate credentials can find competitive employment as palliative care team members across private and public sectors sponsored by for-profit or non-profit groups. Top employers include state and local government agencies, medical facilities, in-home care providers, assisted living residences and nursing homes. Oftentimes, social workers may be the primary professionals providing mental health services especially for geriatric populations. They are also integral employees of independent hospice organizations. The median wage for social workers specializing in palliative care ranges between $43,000-$61,000 annually with increased salaries for those possessing higher degrees and more years of experience. Wages appear to be slightly higher in western regions of the United States. Social work jobs in palliative care can be further diversified by those seeking career advancements into leadership positions as administrators, industry advocates, policy-makers, educators and researchers.